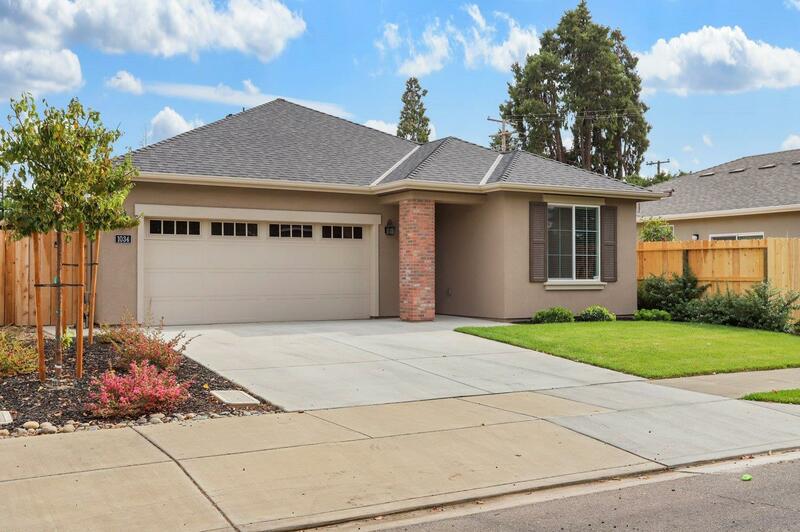 This charming 2017 built home is nestled amongst some of Lodi's most sought after classics. Open floor plan with extra spacious hallways, custom built cabinets, stunning quartz countertops, staggered tile flooring with plush carpets in bedrooms, large master with his and hers vanities in a spacious bathroom. Large backyard. Walking distance to beautiful Downtown Lodi!! Includes newer refrigerator, washer/dryer/ and mounted TV. All info per sellers and others and not verified by brokers. Hurry!